This tutorial was originally shared over at Jenny’s blog Mend and Make New as part of her Handmade Kids Clothes swap festivities. 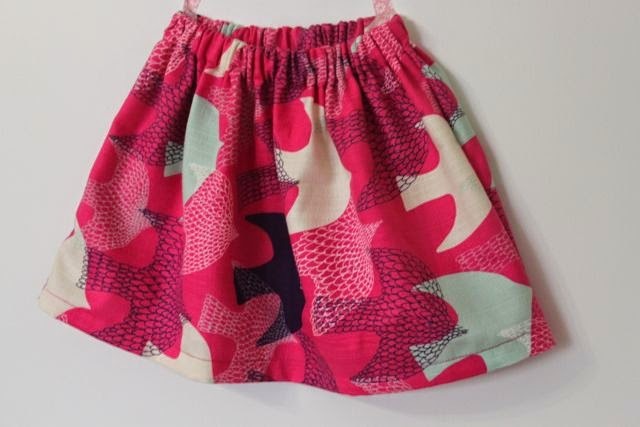 This is a very quick little tutorial that will have you churning out bunches of skirts for all the little girls you know! I say 30 minutes but that depends on your experience and tools – if you have an overlocker you could probably make it even quicker. When I first started sewing it would have taken me a bit longer. 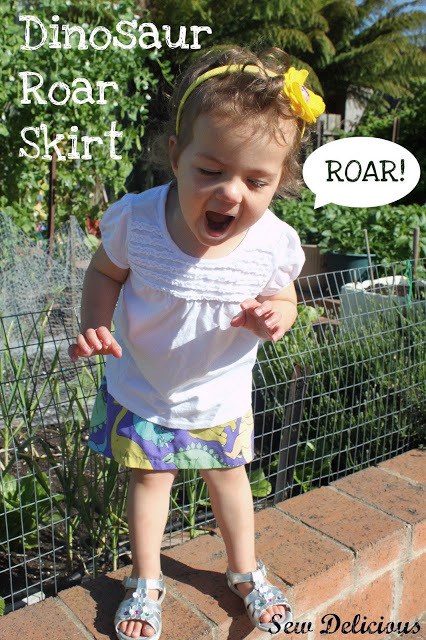 I’m not re-inventing the wheel here – skirt tutorials are a dime a dozen out there in sewing blog land. This is just my tried and true method for a quick project with winning results – these skirts are plentiful in our house. In the cooler months Anna loves to layer skirts over leggings and wear boots. Once summer comes around again, she wears her skirts with a tee and some pretty sandals. For us, skirts are an all year around garment. You don’t need much for this project – in fact you probably have everything sitting in your stash right now! – Up to 1/2 metre / yard of fabric – I used the whole width from a 45″ bolt. 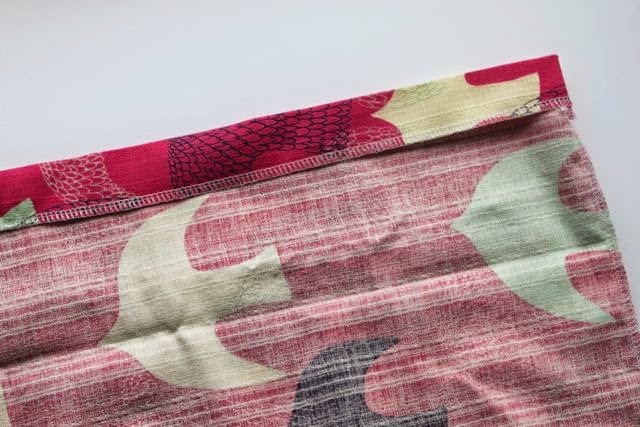 – Elastic for waistband – I like 1″ wide for kids garments. 1. Take your existing skirt (or your child if they are close by!) and measure the length from waist to above the knee. Add 3″ to account for waistband and hemming, then cut your fabric so you have one long piece 45″ wide and the length you desire + 3″. If you don’t have an overlocker, french seams are a great finish on a skirt like this – quick, easy and very neat – check out this tutorial here for how to sew a french seam. 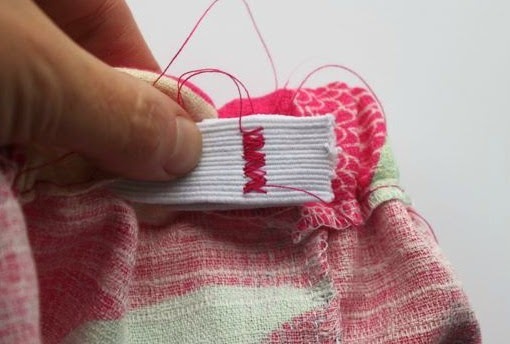 You can also keep it super simple with a straight stitch then trim the seam allowance with pinking shears, or use a zig zag stitch to finish them. 5. Flip your skirt inside out so the wrong side is facing you. Fold the top over 1.5″ to create the waistband casing for the elastic. Press. 6. Stitch into place, leaving a 2″ gap for inserting the elastic. Because I am super lazy, I just stitch right over the top of the overlock stitches. It keeps my stitching in a nice straight line. 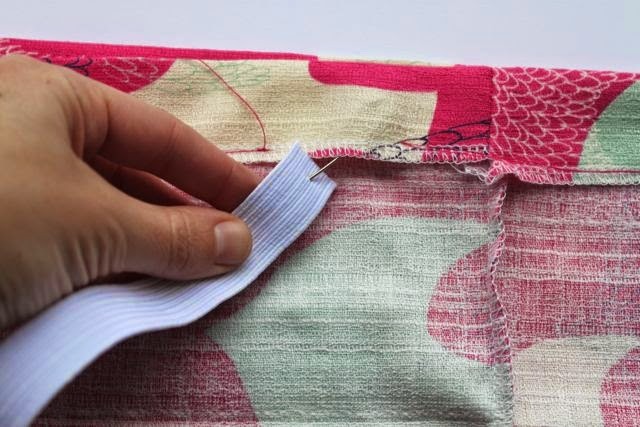 If you are not using an overlocker, fold the raw edge over 1/4″ and press. Fold over again 1.5″ and press. Stitch in place. 7. The amount of elastic you need will depend on the size of your child. Usually their waist measurement, then deducting 2-3″ works for me, so the elastic has some stretch and the skirt stays up. (so if the waist measurement is 19″, cut 17″ of elastic.) Alternatively, check out any patterns you have for elasticated garments – they will have a size chart. Use the large safety pin to attach to the end of your elastic. Push it through the casing. Pin the tail of the elastic outside the gap in the waistband so you don’t lose it. If your edges are not overlocked, fold up 1/4″ and press, then fold up 1″ to conceal the raw edge then press again. Stitch. Now place skirt on child (or stick up on a wall with washi tape) and admire. 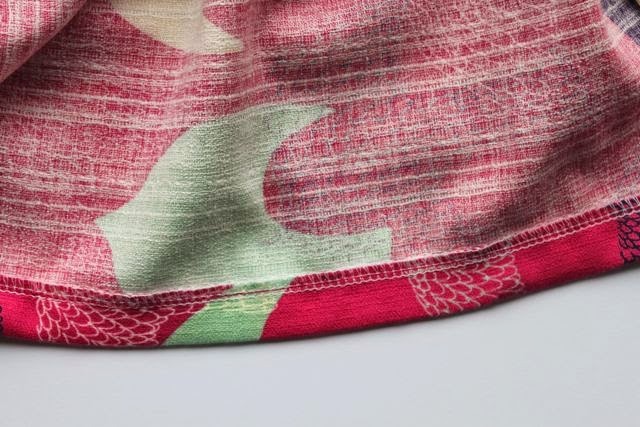 Fabric details: Pink birds cotton dobby purchased from here. This type of skirt would suit a variety of fabrics – quilting cotton, corduroy, double gauze, poplin, polycotton. Anything light to medium weight. Knits would work too although the drape would be a bit different. Make sure you stay updated with my latest tutorials and sewing inspiration – sign up for my newsletter here! Wow, even I think I could do that. Pinned!!! 😀 I was just thinking this morning that I should whip up some skirts for the girls. No you don't have to! I just like the symmetry of two side seams but it's certainly something you could skip. Little girls can't have too many gathered skirts. 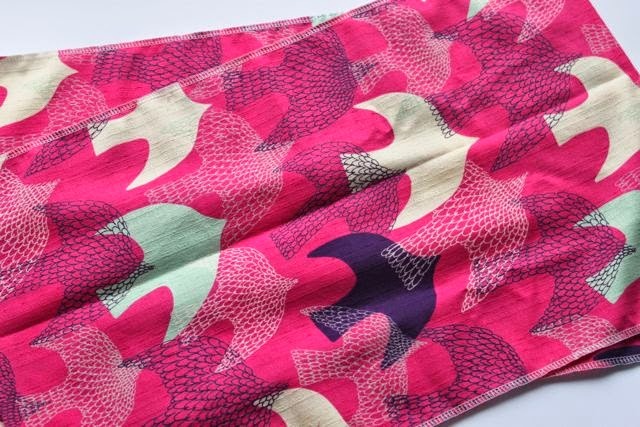 Stunning fabric, Ros! The bonus of washi taping the skirt is that you won't have to wash it for a while, but I'm sure it's even cuter on a little girl! This is my kind of sewing! Love it. No I don’t have any nightdress patterns sorry. Good luck with making the skirt – it’s a nice quick project! Bonjour, pour quel âge cette jolie jupe ? Merci, cordialement.